Finished Jul 2017. Final score: 2 / 5. I am reading the Lunar Chronicles in succession. I read the previous novels. Nothing of value will be lost if you skip this book. Fairest is a prequel telling the story of Queen Levana's rise to power on Luna. It also explains some of the backstory about Cinder and Luna's politics. Levana had a bad childhood and a toxic family. Is it really her fault that she also turned out bad? That is the timeless question this story asks. It was decently written. However, strength of the story is not enough for me to recommend it. My suggestion is to drop this from your reading list and go straight to the really remarkable book Winter. Anything important to the plot in Fairest is discussed in Winter. You won't miss anything. 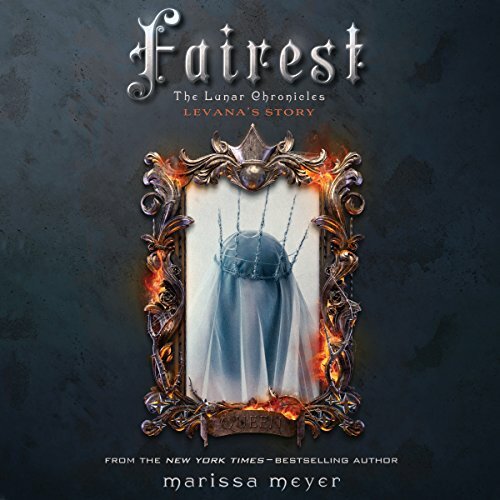 Discuss Fairest (Book 4) in the forums.